Truly discover the island as you wind your way through banana plantations and the island’s rich tropical vegetation. Drive through two traditional fishing villages, along the west coast and onto the highly celebrated town of Soufriere to enjoy breathtaking views of the world-renowned twin peaks, the Pitons. 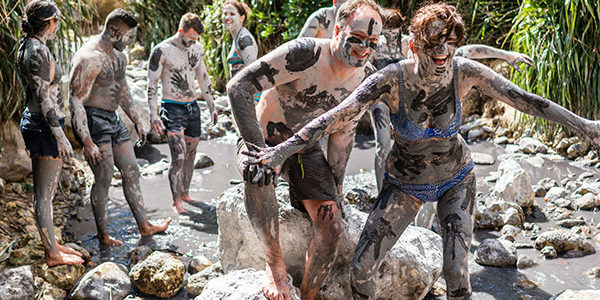 Once you have taken in the scenery, your guided outing continues to the “drive-in” volcano and its sulphur springs before you reach the mud baths. Here, sit and relax, cover yourself from head to toe, or help others cover themselves. Price: $80.00 per adult (age 12 and older); $55 per child (age 3-11 years); complimentary for children ages 0-2. Note: Dark-colored swimsuits are suggested for this activity and you may wish to leave jewelry behind in your in-suite safe so it’s not discolored by the minerals.